Soon after being created, Lucifer becomes jealous of God’s power and authority. He then plots to seize God’s Throne. God assigns the other Archangels to convince Lucifer of his folly, and return him to His Grace. 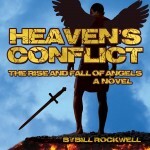 There follows verbal jousting between formidable Archangels. Lucifer, seething with evil and desiring to do the seemingly impossible, to destroy God, refuses to repent, however, and forms an army of rebellious Angels. 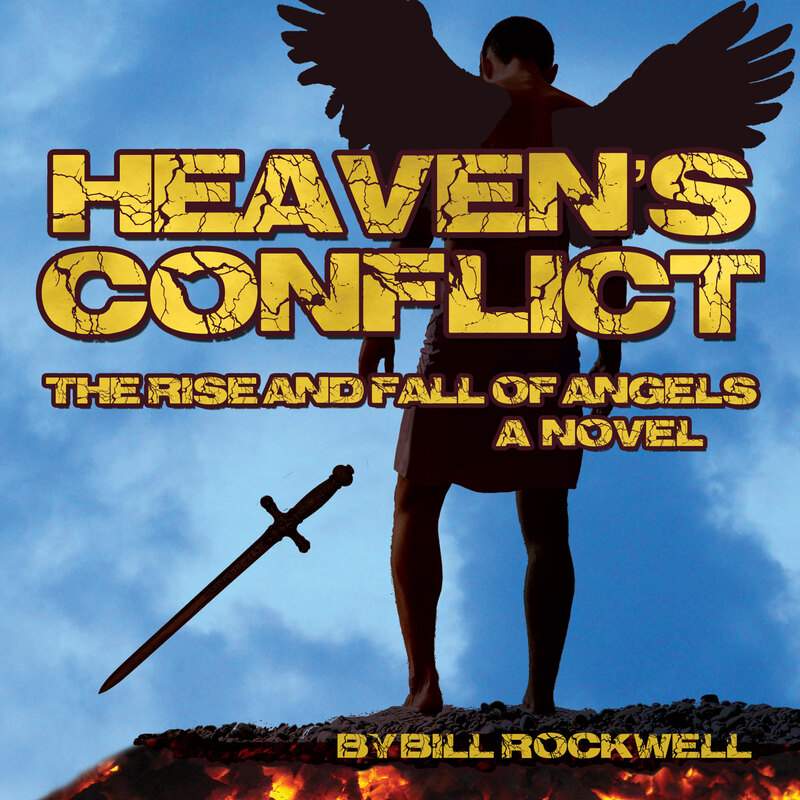 God then commands the Archangel Michael to lead Heaven’s Angels against Lucifer’s demon army. The stage is thus set for the most significant confrontation ever with the sovereignty of God’s Throne at stake. This day would prove unlike any other in this universe’s three hundred trillion year history. There would be no more tomorrows, no golden sunrises or crimson sunsets, no new galaxies, or signs of life. There would only be extinction, and for its Creator, unprecedented challenges. Now, as the concerned Father, that Creator, Almighty God, shimmered into existence at the outer edge of the universe to ease its transition into oblivion. With His apparition brighter than any supernova, He hovered with His arms folded across His chest, a scowl creasing His forehead. He scanned His handiwork with mournful eyes. He had participated in the rich history of this universe from the beginning, guiding it, and intervening when necessary, but that relationship would exist no longer. With a deep sigh, He embraced the universe. The outer galaxies tickled His palms, causing His frown to transform into a diminutive smile. His touch remained tender, as if embracing a beloved relative. Without a sound, the accelerating expansion that had characterized the universe ceased as it nuzzled into God’s loving embrace. It hung for a few long moments, and then began a rapid and relentless fall inward toward the gigantic black hole that occupied its exact center. The collapse, which began slowly, increased in speed exponentially until even the black hole itself collapsed into a singularity, a pinpoint-sized piece of super-compressed matter and energy. God extended His right hand, nestling the super-heavy singularity in His palm before allowing it to blink out of existence. He grinned, satisfied with the end result of this universe’s life, and instantly pictured His next, and most daring universe. That universe will be different, its inhabitants closer to Me than any other. Nurturing that relationship will be both demanding and stimulating, and it will impart unparalleled danger to all involved. It will be worth it. All My creations are. God closed His eyes, and materialized before the tall, luminous Gates of Heaven. His gaze drifted upward to the Flame atop one of the pillars anchoring the Gates. It had become larger and brighter at His appearance, brilliantly bathing the surrounding area in a warm glow. God paused, and bowed His head. The white Dove had a faint bluish crown, and a small area of pink on its breast. As God approached, the Dove spread its wings. Beams of light, as bright as the light from the Flame, burst from its chest, illuminating the ground. As God entered the beams, the right half of the column turned crimson. The left remained white. Above the Dove’s head burst white rays that radiated out in all directions. It flapped its wings three times, and then folded them against its body. In an instant, all the rays vanished. The Dove cooed several times, and then stared into the distance. As God advanced, He waved again. The Gates swung inward. He stepped through, and froze. Something feels different, wrong. He scanned the Courtyard. Nothing. I didn’t detect anything on My approach. The Gates functioned normally. Nothing seems out of place or malfunctioning anywhere in Heaven. So, what could it be? The tingling and ringing disappeared as rapidly as they had appeared. God lowered His voice. “Yes, I understand. Maybe you’re right. Maybe it is inevitable, but inevitable or not, We can only deal with the situation as it develops. The Angels, both good and bad, will be the first step toward Our glorious finale. We must all serve Our parts.” A tear emerged from God’s partially closed eye, and dropped through the air in slow motion. It dissipated before hitting the ground. God smiled. “Love to You too,” He watched as the Dove took to flight to meet the incoming souls. God gripped the arms of His Throne. He realized His Home would never be the same again. The addition of Angels and hymns would elevate Heaven to new heights of splendor and achievement. It would become a much more elegant place to share with the souls that He planned to garner and purify from within the physical confines of His next creation, the universe containing the planet Earth. However, along with these new creations would come something He had been able to avoid up to now, Evil. After a brief consideration, He decided, as the Dove had said, the resulting circumstances were inevitable. He had really known this for eons, but knew that the right time, the right universe, and the right species to expend His energy, sacrifice, and love upon had finally arrived.